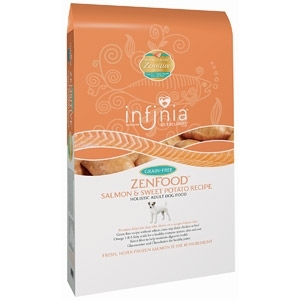 The Infinia Holistic™ Zensitive™ Blend is formulated with Omega 3 & 6 fatty acids and zinc for a full, shiny coat and supple skin. Your dog will enjoy a flavorful meal packed with select nutrients, and you’ll enjoy peace of mind. How will you know? Just look for that happy, wagging tail!